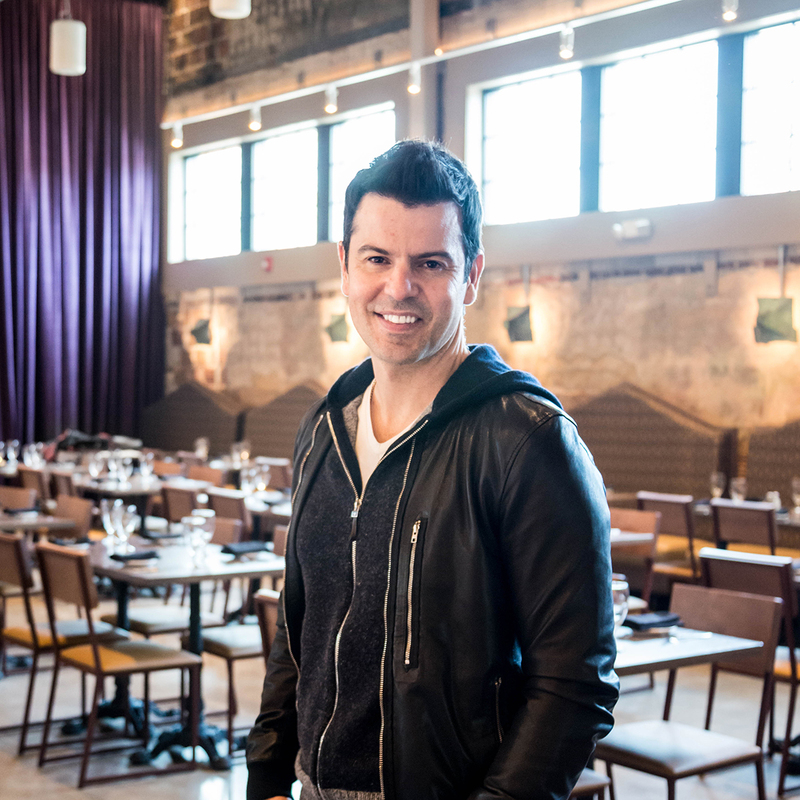 The NKOTB singer didn’t set out to be a restaurant investor, but he’s thrilled to be part of East Milton’s newest venue, Novara, which opens to the public tonight. Jordan Knight has lived in Milton since 1997. He and his family—wife Evelyn and sons Dante, 16, and Eric, 8—are regulars at Abby Park, located a few doors down from the new establishment. 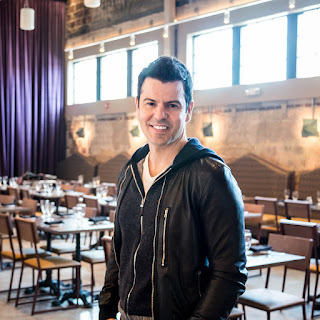 Over the years, he’s gotten to know Abby Park owner Vance Welch, and when he found out Welch, partner Ajay Sadhwani, and chef Tony DeRienzo were opening a new venture in a former movie theater, Knight toured the construction site. Knight officially signed on just a few months before Novara’s debut. We caught up with the pop star about his perspective on the restaurant industry, his future business plans, and what we should order at Novara. What made you want to be involved with Novara? There were businesses [in East Milton Square], but it wasn’t a happening scene. When Abby Park came in and Starbucks, it started to become one a little bit. [The Novara team] built parking next door, and I think it will definitely be a destination. For me, I’m meeting more people from my town and other investors, and I’m learning about the restaurant business, and that’s fun. There’s also an outside patio. It’s kind of teetering on being a sports bar as well, because there are big, flat-screen TVs and a huge, marble bar that’s just gorgeous. There’s no place in Milton that you can have that experience. As a resident of Milton, you’re probably pleased to see something happening at the historic building. Yeah. I just saw an old picture from 1980 or something: There was only one screen, but a lot of people would watch a couple movies in a row. I guess there was a fire there, actually, and it’s just been sitting there, vacant. I think it’s cool when people with a vision want to come in and revitalize a place and pay homage to the place. The place is huge, but you wouldn’t know that looking from the front. It’s pretty breathtaking. At the back where the movie screen used to be, there’s huge LED screen that plays old Italian movies, or whatever the content of the day is. It’s definitely an entertaining showpiece. Had you ever invested in the restaurant industry before? You hear the stories about how it’s so risky. I’ve always kind of stayed away from restaurants, not that I’m a huge investor anyway. I just basically knew [Novara] was a homerun. If you’re with some people that are just starting in the business, that’s risky, but these guys have a proven track record, the food is great, it’s great location, the design is awesome, and East Milton needs it. Were you able to see much of what it takes to get a restaurant off the ground? It definitely reminded me a lot of putting a tour together and having opening night. It looks very chaotic when you’re doing it. Even up to the day before and the day of, you’re scrambling to get things done. You’re scrambling to put the finishing touches on. We did a friends and family gathering, and that reminded me of a dress rehearsal. You find what you’re up against, where the kinks are. When you’re on the road and looking for a restaurant, or going to Abby Park with your family, how do you typically like to eat? Honestly, I’m not a foodie, really. I like the basics, like pizza, spaghetti and meatballs, chicken Parmesan, which you can get all at Novara. When we’re on the road, our road manager will ask us what we want to eat from whatever restaurant we’re going to order from. Donnie is a foodie; he usually orders a lot of appetizers and different-tasting food, so I’ll just write ‘same as Donnie,’ because it’ll be awesome, and I can’t go wrong. What’s next for you? Any other investments, maybe more restaurants to get involved with? I’m not really trying to dive into the [restaurant] business; it’s just a fun thing for me, and [this one is] a solid investment. I am a franchisee of a fitness chain called Retro Fitness. It hasn’t hit the Boston area yet, but I’m planning to bring 2-3 gyms to the area. I have one right now in Cranston, R.I. It’s a low-budget, high value gym. I always say, if Planet Fitness is Wal-Mart, Retro Fitness is like the Target. They have over 150 gyms across the country. [New Kids on the Block] are planning a few select dates, but that has yet to be announced, as well as another cruise in October or November. Our last cruise, we documented the whole thing and we’re doing a reality TV show based around it. That will probably be airing in May. We’re putting that together. What should people order at Novara? [Chef Tony DeRienzo] is an Italian guy and he grew up learning to cook from his grandmother. So, he learned in school about the new styles of cooking these days, but he learned the basics the best way: through practical experience. You get that in his food. You get the integrity, with a modern flair to it. The pizza is amazing. The tortellini was really good, the calamari was really good. He put mustard on top of the calamari, which I thought was crazy until I tasted it.